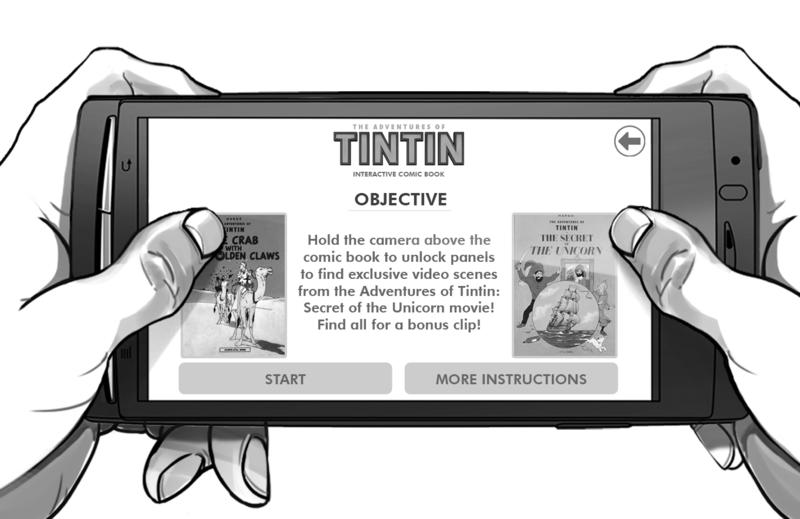 To help promote the global release of Sony Pictures, The Adventures of Tintin: The Secret of the Unicorn, this interactive comic book was pitched. 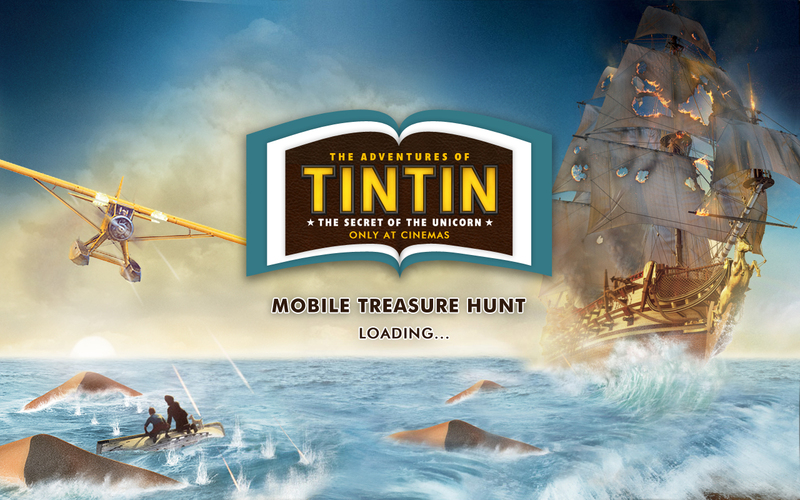 Using Augmented Reality, the user can hold the camera above a Tintin book to unlock digital features displayed on screen – a mobile treasure hunt! Specific panels from the book would show a 3D animated Tintin, video scenes from the movie and have downloadable mobile wallpapers. 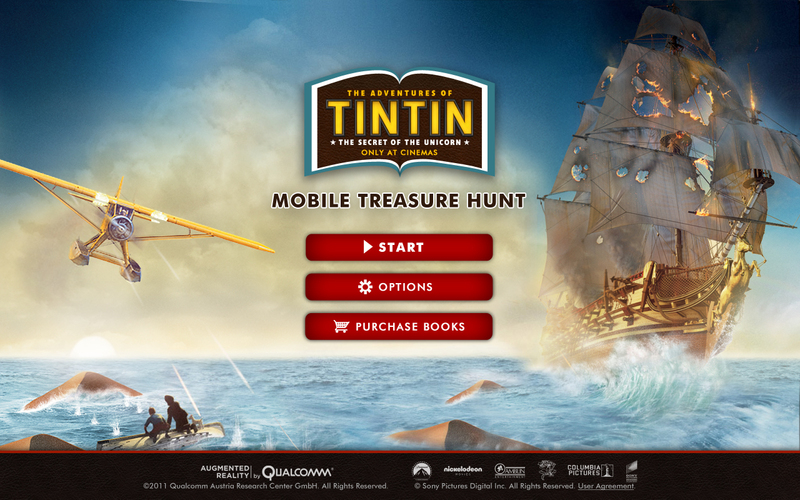 Collaborated with Trigger’s creative director, 3D modelers, motion animators and mobile software engineers on this tablet application built with Vuforia from Qualcomm. 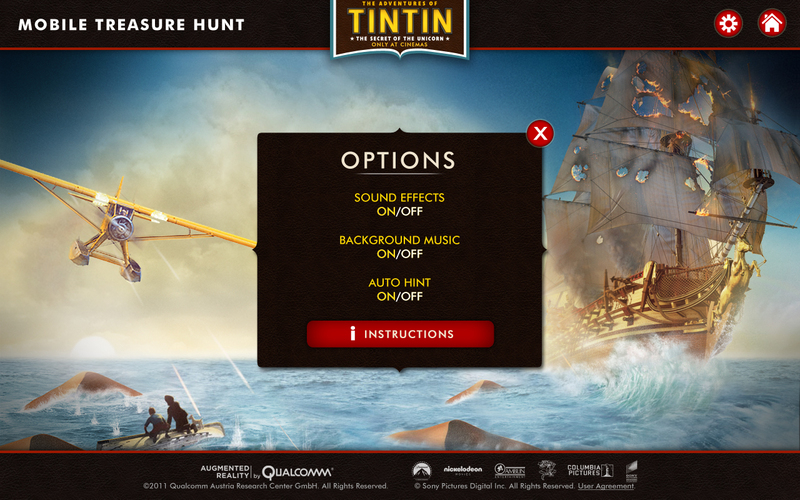 I created the entire wire frame and designed the interface according to the movie style guides. 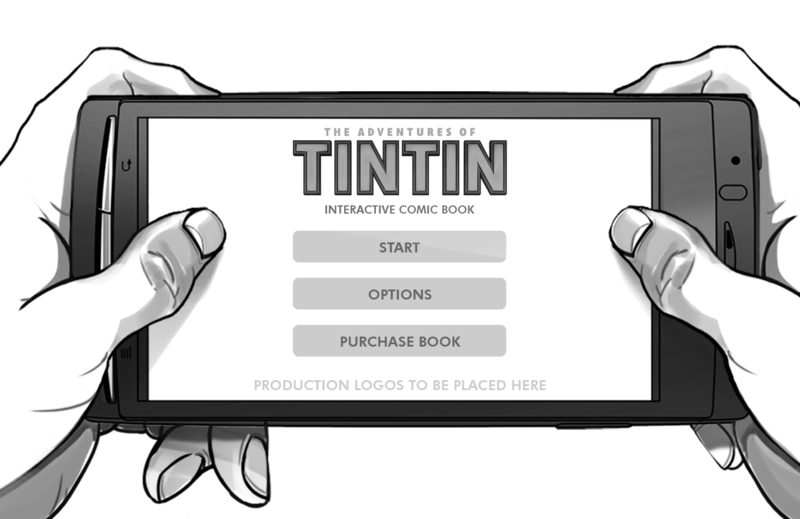 A visual mockup, designed in Adobe Illustrator: the wireframes portray the functional elements on the tablet screen, following the structure and the positioning of text, placeholder images and navigation buttons. 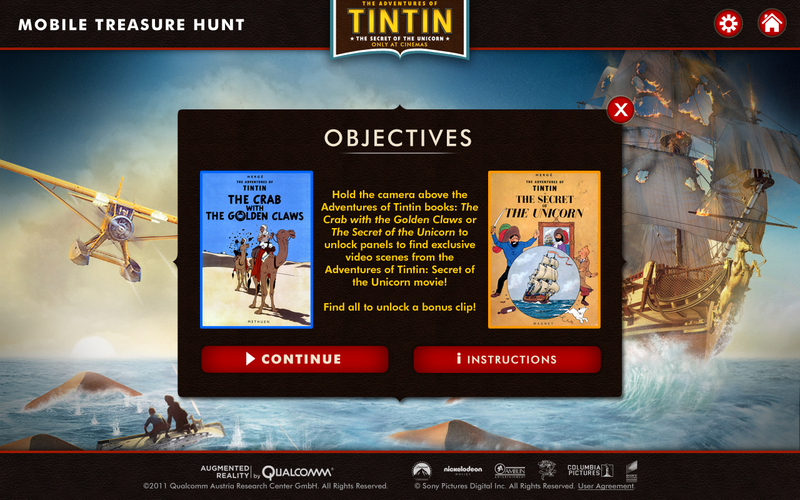 The design comps emphasize the action and colour, designed in Adobe Photoshop.